Still Waiting On Your Brain Injury Settlement? The brain is one of the most important organs in the body. Without a functioning one, life is impossible and thus any damage to it can have severe consequences. A traumatic brain injury can happen from falls, car accidents, sport injuries, or any direct impact to the head. A mild traumatic injury is characterized by a change in mental status at the time of the injury, also called a concussion. There doesn’t have to be a loss of consciousness but if there is, it’s brief. It won’t last longer than a few minutes. The victim may experience nausea, memory problems, and sensitivity to noise or light. For a moderate traumatic brain injury to occur, the effects may be a little longer lasting. Loss of consciousness occurs for up to a few hours. Confusion or sensitivity may last for days or weeks. Any impairment in movement, brain function, or behavior will last months and may become permanent. Although all medical diagnoses must be performed by a trained professional, there are a few signs that indicate a possible traumatic brain injury. The first is loss of consciousness. It could be anywhere from a few seconds or even a few months. Keep in mind that it’s possible to have brain injury without losing consciousness. Another sign that you’ve experienced a brain injury is a loss of memory, especially of events directly following the incident. A concussion–an alteration of consciousness–could also indicate injury. Concussions are characterized by dizziness, nausea, headaches, insomnia, and/or mood swings. If you also suffer from disturbance of brain function, or encephalopathy, that’s a good sign you might have injured your brain. Seizures are another red flag that something may be wrong. A coma is an unconscious state that one cannot be awakened from although they may respond minimally to stimuli. No voluntary activities are initiated, though. A coma often looks like the victim is simply sleeping. The next level is a vegetative state, which is characterized by arousal but an inability to interact with the environment around the victim. The patient may have spontaneous eye-opening and increase heart rate or respiration in response to pain stimuli. There is no specific test to determine this state, but a neurologist making repetitive neurobehavioral assessments. A persistent vegetative state is one that has lasted more than a month. Pravati Capital invests in the success of both law firms and plaintiffs. To this end, we’ve developed a network of qualified, experienced attorneys who can help you file a claim against a business, medical practitioner or individual whose negligence caused you or a loved one to suffer a brain injury. We also understand how quickly expenses pile up after you suffer a brain injury. You may not be able to work and may need special cognitive therapies that are only partially covered by insurance. 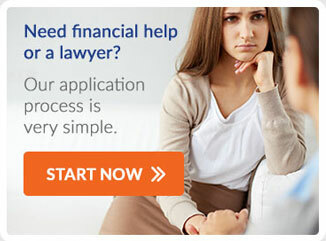 We can assist with this also by providing legal financing that takes away much of the financial pressure facing litigants throughout their trial. If you experienced a brain injury, contact Pravati Legal Funding today.